Today I would like to talk (write?) about the first of several different failures in foresight. This first failure – called the Failure of Nerve – had been identified in 1962 by noted futurist and science fiction titan Sir Arthur C. Clarke. While Clarke has mostly pinpointed this failure as a preface for his book about the future, I’ve identified several forces leading to the Failure of Nerve, and discuss ways to circumvent it, in the hope that the astute reader will avoid making similar failures when thinking about the future. The Failure of Nerve is one of the most frequent of failures when talking or writing about the future, at least in my personal experience. When experts or even laypeople are expressing an opinion about the future, you expect them to be knowledgeable enough to be aware of the facts and the data from the present. And yet, all too often, this expectation is smashed on the hard-rock of mankind’s arrogance. The Failure of Nerve occurs when people are too fearful of looking for answers in the data that surrounds them, and instead focus on repeating their preconceived notions – which might’ve been true in the past, but are no longer relevant in the present. 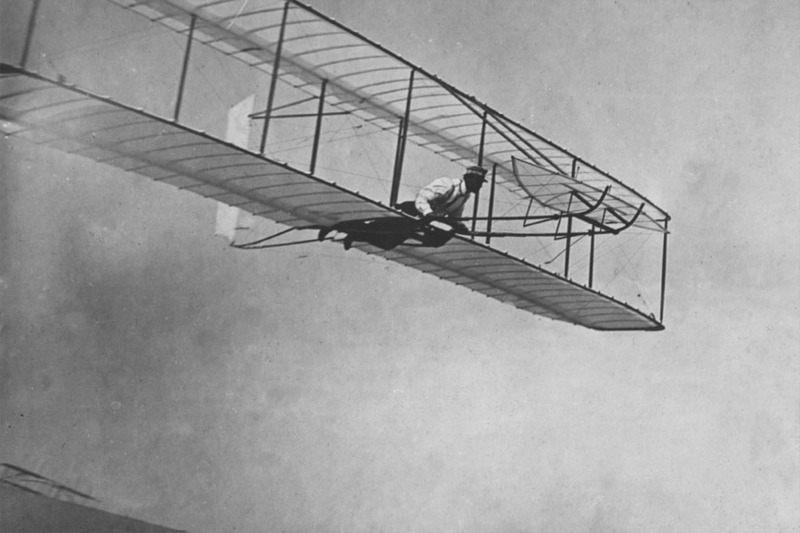 Newcomb’s Failure of Nerve appeared later on, when he was confronted with reports about the Wright brothers’ success. Instead of withholding judgement and checking the data again, Newcomb only conceded that flying machines may have a slight chance of existing, but they could certainly not carry any other human beings other than the pilot. The first flight of the wright brothers – against the better judgement of the scientific experts of the time. 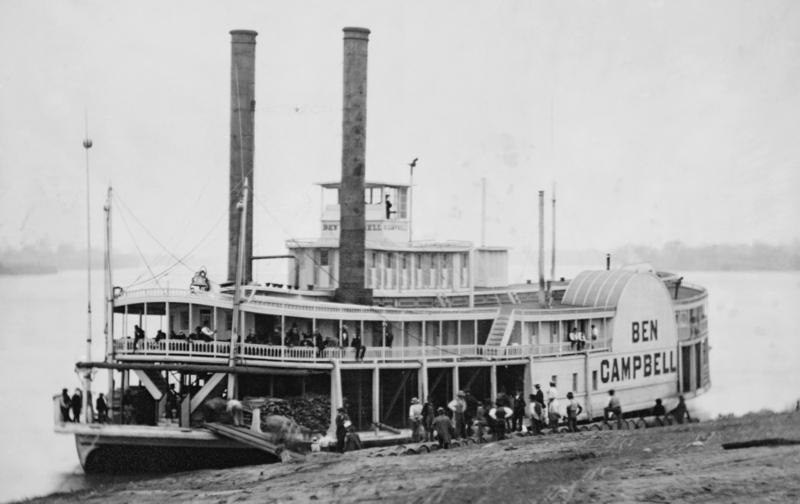 Had the uprising emperor bothered to take a better look at the current state of steamboats, he would’ve learned that boats with “bonfires under their decks” were already carrying passengers in the United States, even though the venture was not a commercial success. Fulton went on to construct a steamboat (nicknamed “Fulton’s Folly”) that rose to fame, and in 1816 France finally recovered its senses and purchased a steamboat from Great Britain. Knowing of Napoleon’s genius in warfare, it is an interesting thought exercise to consider how history might have changed had the emperor realized the potential in steamboats when the technology was still emergent. Is it possible that steamboats like this one would’ve changed the course of history, had Napoleon not been affected by the Failure of Nerve? How do we deal with a Failure of Nerve? To find the answer to that question, we need to understand the forces that make this failure so common. There are at least three different forces that can contribute to a Failure of Nerve. These are: selective exposure to information, confirmation bias, and last but definitely not least – the conservation of reputation. Selective exposure to information is something we all suffer from. In this day and age, we have an abundance of information. In the past, news would’ve had taken weeks and months to get to us, and we only had the village elder’s opinion to interpret them for us. Today we’re flooded by information from multiple media sources, each of which with its own not-so-secret agenda. We’re also exposed to columns by social critics and other luminaries, and we can usually tell in advance how they look at things. If you read Tom Friedman’s column, you can be sure he’ll give you the leftist approach. If you open the TV at The Glenn Beck Program, on the other hand, you’ll get the right-winged view. An abundance of information is all good and well, until you realize that human beings today suffer from a scarcity in attention. They can only focus on one article at a time, and as a result they must choose how to divide their time between competing pieces of information. The easiest choice? Obviously, to go with the news that support your current view on life. And that is indeed the way that many people choose – and understandably results in a Failure of Nerve. How can you be aware of any new information that stands in contradiction to your core beliefs, if you only listen to the people who repeat those same core beliefs? Of course, reading opposite views to the one you adhere to can be annoying and vexing, to say the least. And yet, there is no other way to form a more nuanced and solid view of the future. The confirmation bias is well-known to any expecting future-parent. You walk around in the city, and you find that the street is choke-full of parents with strollers and babies. They are everywhere. You can’t avoid them in the streets, on the bus, and even at work you find that your co-worker had decided to bring her children to the workplace today. So what happened? Has the world’s birth rate doubled itself all of a sudden? The obvious answer is that we are constantly influenced by confirmation bias. If our mind is constantly thinking about babies, then we’ll pay more attention to any dripping toddler crossing the road, and the memory will be etched much more firmly into our minds. The confirmation bias does not influence only young parents. It has some real importance in the way we view our world. A study from 2009 demonstrated that when people were asked to read certain articles spend 36 percent more time, on average, reading articles that they agreed with. Another study from 2009 demonstrated that when conservatives are watching The Colbert Report – in which Stephen Colbert satirizes the part of a right-winged news reporter – they read extra-meaning into his words. They claimed that Colbert only pretends to be joking, and actually means what he says on the show. In short, in order to minimize the impact of confirmation bias, you need to remain constantly vigilant against the tendency to be certain of yourself. You must chase after those who disagree with you and seek their opinions actively, and perhaps most importantly: you should write it all down in order to distance yourself from your original perspective, and allow yourself to judge your thinking as though it were someone else’. Sadly enough, most experts believe that revisions of past forecasts, or indeed any change of opinion at all, will diminish and tarnish their reputation. And so, we can meet experts who will deny reality even when they meet it face-to-face. Some of them are probably blinded by their own big ideas and egos. Others probably choose to conserve what’s left of their reputation and dignity at any cost, even as they see their forecasts shrivel and wither in the light of the present. The story of Larry Kudlow is particularly prominent in this regard. Kudlow forecast that President George W. Bush’s substantial tax cuts will result in an economic boom. The forecast fell flat, and the economy did not progress as well as it did during President Clinton’s reign. Kudlow did not seem to notice, and declared that the “Bush Rush” is here already. In fact, in 2008 he proclaimed that the current progress of American economy “may be the greatest story never told”. Five months later, Lehman Brothers filed for bankruptcy, and the entire global financial system collapsed along with that of the U.S. I am going to assume that Kudlow was truly sincere in his proclamations, but obviously many other experts will not feel the need to be as honest, and will adhere to their past proclamations and declarations come hell or high water. And if we’re totally honest, then it must be said that the public encourages such behavior. In January 2009, The Kudlow Report (starring none other than Kudlow himself) began airing on CNBS. Indeed, sticking to your guns even in the face of reality seems to be one of the most important lessons for experts who wish to come up with the upper hand in the present – and assume correctly that few if any would force them to come to terms with their forecasts from the past. In this text, the first of several, I’ve covered the Failure of Nerve in foresight and forecasting. The Failure of Nerve was originally identified by Arthur C. Clarke, but I’ve tried to make use of our current understanding of behavioral psychology to add more depth and to identify ways for people to overcome this all-too-common failure. 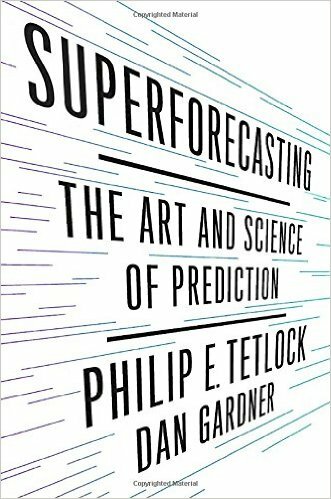 Another book which has been very helpful in this endeavor was the recently published Superforecasting by Philip E. Tetlock and Dan Gardner, which you should definitely read if you’re interested in the art and science of forecasting. There are obviously several other failures in foresight, which I will cover in future articles on the subject.